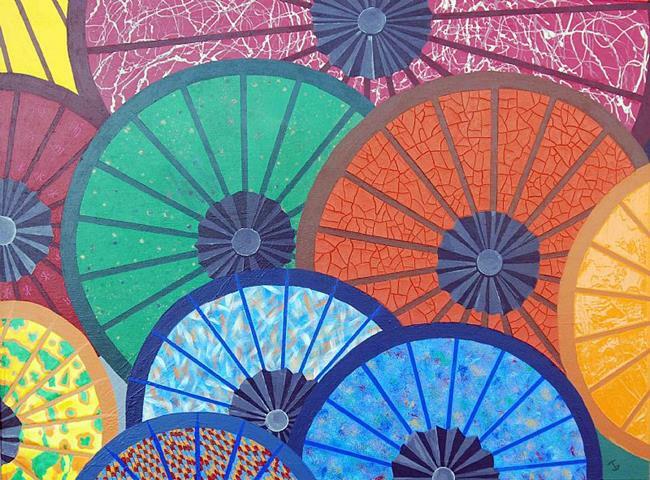 "Parasols" was inspired by a stroll through Chinatown in San Francisco with all the ornamental paper parasols on display. Halfway through the painting I almost changed the name of the painting to "Boat Drinks" in honor of those little umbrellas that they stick in your drink in the Islands. But the name is true to where the inspiration came from and besides the painting feels more Chinatown than Caribbean.